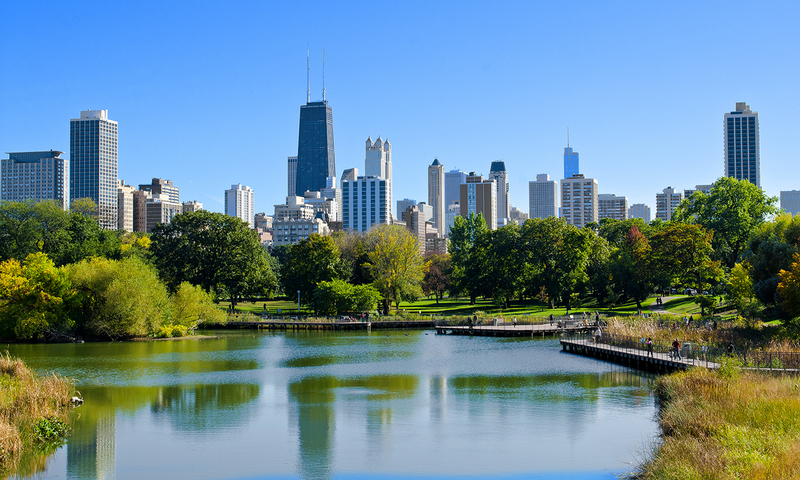 Flowbird, a world leader in the field of urban mobility and smart city solutions, has been selected by Chicago Parking Meters, LLC (CPM) to deploy the latest in urban parking technology. The City of Chicago will be the largest in the U.S. to implement Pay-by-Plate parking, covering 36,000 metered spaces, with new user-friendly parking kiosks. CPM will begin installation of over 4,000 Flowbird CWT Stealth kiosks, the latest model in the Flowbird product line, on October 1st. The new technology represents a major upgrade to the city’s parking infrastructure and follows an industry trend as more municipalities switch from Pay-and-Display meters to a Pay-by-Plate system. Pay-by-Plate provides a more convenient customer experience. Each CWT Stealth is solar powered, wireless and features a touch screen interface similar to a tablet, instructing users to input their license plate and choose a parking duration. The user can then complete payment in the form of a credit card or coins. Users will no longer be required to display their receipt on their dashboard, and the kiosks even offer receipts via text, reducing the amount of receipt paper and saving on operations costs. The new system is designed to bring innovation and convenience to Chicago and its mobility structure. CPM will have access to Flowbird’s updated version of the CWO back-office parking management system featuring na enhanced big data analytics reporting environment. Transaction data from the kiosks is integrated with the mobile phone payment solution and citation management system. This latest project builds on an already successful collaboration between CPM and Flowbird, who has been supplying Chicago with parking solutions since 2009. The new kiosks will begin appearing throughout the city next week. All 36,000 metered spots will have the new kiosks in place by mid-year 2019.